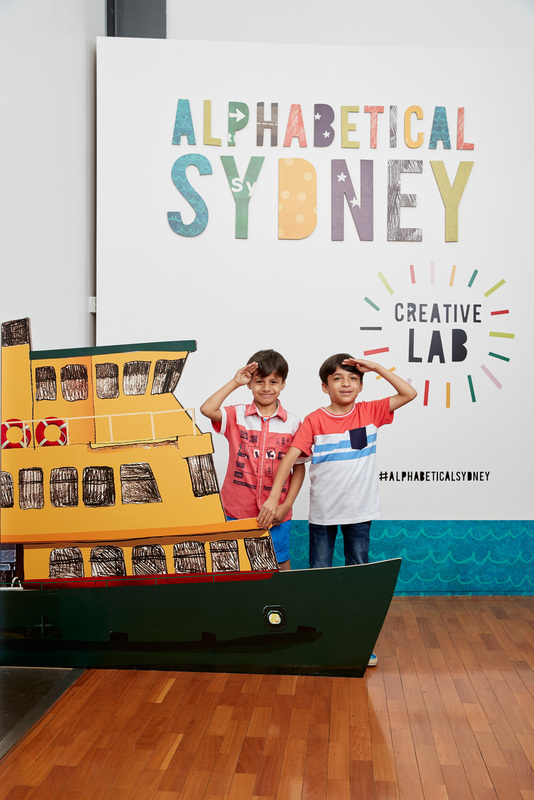 Alphabetical Sydney: Creative Lab at the Museum of Sydney is an interactive children’s exhibition that celebrates Sydney in all its diversity, from A to Z. The exhibition was produced by Sydney Living Museums in collaboration with illustrator Antonia Pesenti and author Hilary Bell, creators of the best-selling book Alphabetical Sydney. The Alphabetical Sydney book is immensely popular with children and adults alike. This exhibition provides an opportunity to invite young and old to experience and explore the city through creative activities and sensory games in a fun, low-tech environment. 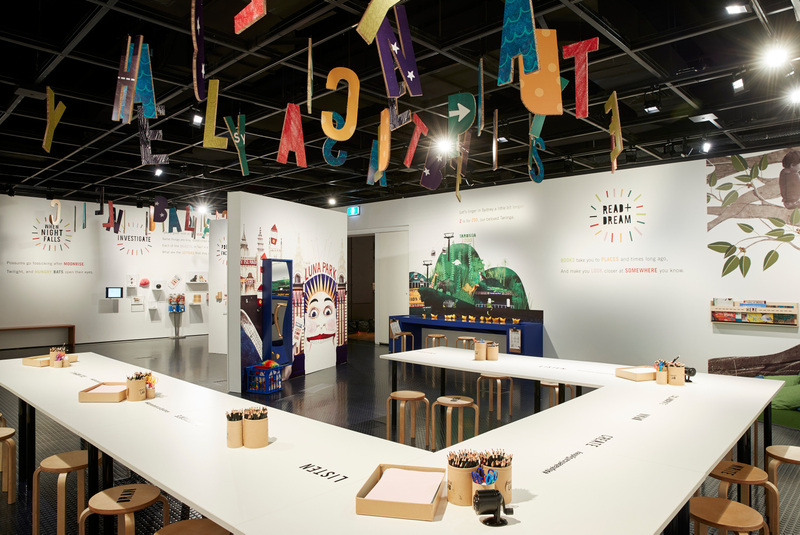 A custom activity booklet or ‘Lab Kit’, specially created for this exhibition, leads visitors through the show using playful illustrations and rhyming verse. Visitors can investigate the clues in the mini museum, write their own verse in the poetry factory, experience the magic of Sydney at dusk or relax with a book under the canopy of a Moreton Bay fig tree. The sounds of the city in all their intensity and diversity are hidden throughout – deafening cicadas, clanging construction, an elephant’s trumpet from the zoo. The exhibition aims to provide an accessible avenue for children and families to engage with Sydney’s story by encouraging visitors to investigate, write, collaborate, listen, draw, read and dream. The exhibition was designed to be enjoyed by budding artists and authors and anyone with a sense of fun and a capacity to dream.